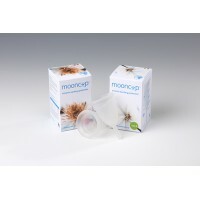 The Me Luna Classic Menstrual Cup has a medium degree of softness and is the most popular firmness of cups used. This cup has a ball style stem that is very useful when removing. Each menstrual cup comes with full instructions and a Me Luna drawstring bag. The Me Luna shorty Cups are 30% shorter than normal menstrual cups. This product line was designed f..